Earlier in the season, the New England Patriots traded quarterback Jimmy Garoppolo to the San Francisco 49ers in a move that surprised many. ESPN’s Adam Schefter recently said the trade was made not only to help the Patriots, but to help put Garoppolo in a position to succeed. Schefter thinks Patriots coach Bill Belichick’s respect for the 49ers’ general manager, John Lynch, and coach, Kyle Shanahan, was a big factor in sending Garoppolo there. Many were surprised earlier this season when the New England Patriots traded quarterback Jimmy Garoppolo to the San Francisco 49ers. 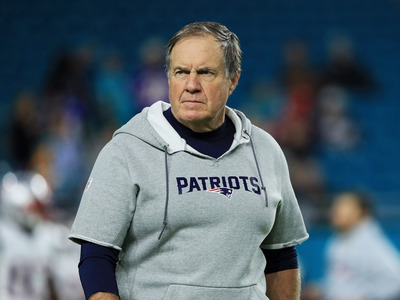 In exchange, the Patriots received only a second-round draft pick – and while football fans know how much coach Bill Belichick values his draft picks, it was a shockingly small return for Tom Brady’s heir apparent. But while teams normally do everything they can to squeeze the most value out of any asset, there may be a reason that, in this case, the Patriots took a bit less than market value to move Garoppolo to San Francisco. According to ESPN’s Adam Schefter, the deal between the Patriots and 49ers came together because Belichick thought San Francisco was the right fit for Garoppolo. On the “Murph and Mac” show on Thursday, Schefter talked about how Garoppolo could have ended up on another team. Schefter theorised that the Patriots knew they had to move Garoppolo before the trade deadline, but that Belichick also wanted to put Garoppolo, who had been waiting in the wings in New England for four years, in a position to succeed. Schefter reiterated that he thought the Patriots’ fondness for Garoppolo led them to want to put him somewhere he would shine, and that San Francisco made sense as a destination. “As much respect as the Patriots have for Jimmy Garoppolo, they wanted to place him in a place that they thought would treat him the way that they thought he should be treated, and that was the 49ers,” he said. The deal has been working out great for Garoppolo, who is now 3-0 in his starts with the Niners, including a late-comeback win over the Tennessee Titans on Sunday. While some view football as a cutthroat, dog-eat-dog industry, the anecdote shows that even the most stoic of football figures can make moves that benefit both their team and the player they’re moving. You can listen to Schefter talk about the deal in more detail below, starting around the 5:30 mark.